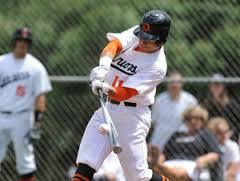 Who Is This Year’s Highly Anticipated Prep Shortstop? For the past four years, there has been one common occurrence in the MLB draft: That occurrence is the Highly Anticipated Prep Shortstop (or HAPS, for short). 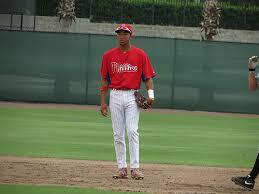 The common characteristics is that the shortstop in question is (obviously) a high schooler, has the potential to make the majors in three years instead of the traditional four or five years, is a top prospect usually by the end of his first year or the middle of his second, and garners a lot of praise from opposing scouts. While it’s still too early to be determined, Crawford had been highly visible throughout his high school career, and when he was drafted, it was to a team that was looking to replace a legendary shortstop with a newer model. 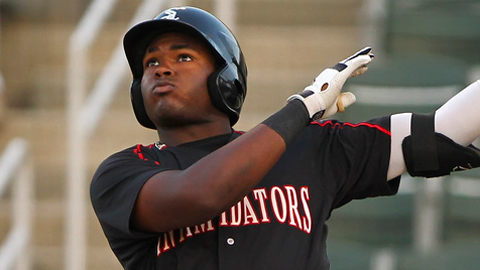 Crawford’s first minor league season saw him completely own the Gulf Coast League and skip entirely over short ball in favor of the more advanced Low A. Crawford also ended the season as the #4 prospect in Philly’s system, behind only Roman Quinn, a fellow prep shortstop drafted in the 2nd round of the 2011 draft, as well as 3B Maikel Franco and P Jesse Biddle, who have made the 2014 top 100 list on MLB.com. Even though Crawford effectively was a HAPS by default, as last year’s middle infield class was very weak, Crawford has at least proven that he is still a very solid lock to follow the progression that fellow HAPS have gone through. 2012: Carlos Correa, Astros, and Addison Russell, Athletics. Thanks to what could have been regarded as one of the best prep shortstop draft classes in baseball history, 2012 had not one, but two HAPS propects. 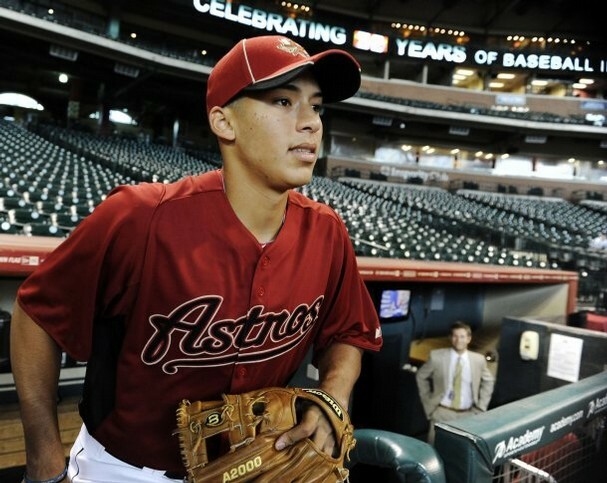 Carlos Correa, who was the first overall pick, drew some attention at the end of his debut year, but in his second year, he justified why he was a first overall pick. 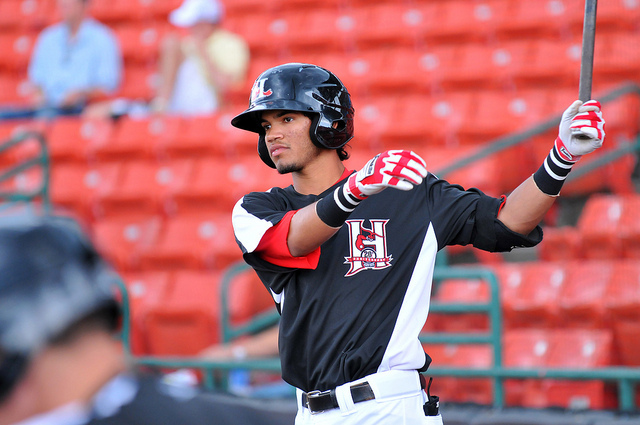 After having a monster season for the Quad Cities River Bandits, Correa was rewarded by being voted in to the 2013 Futures game World Roster, as well as being named the Astros’ top prospect by the end of the season. 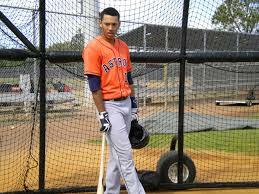 At the start of the 2014 season Correa was named the top prospect in the Astros’ system again, ahead of such players as Mark Appel, Jonathan Singleton, and Lance McCullers, and was also named the #8 prospect in all of baseball. Russell, who I’ve consistently noted was the catalyst for the death of Moneyball drafting in Oakland, has done nothing but impress in his first two years. 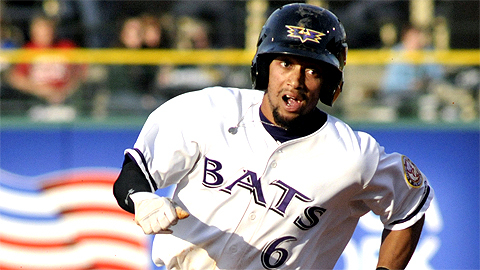 Named the best prospect in Oakland’s system immediately after the 2012 season, Russell again went on a tear at Single-A Stockton, and was also selected for the Futures game as a member of Team USA. Russell ended the season in AAA Sacramento, completely jumping over AA, and although he obviously had issues handling the rapid increase in competition level, the prevailing theory is that Russell could be in the majors by the end of the 2014 season. The Indians have repeatedly stated that they do not intend to rush Lindor to the major leagues, to which I call bull. Lindor has been nothing short of amazing ever since he stepped on the field. 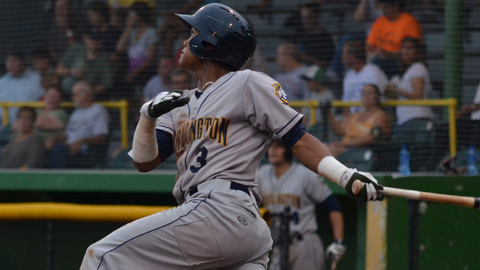 At the end of the 2012 season, his first full season in minor league ball, Lindor had established himself as a #1 shortstop prospect, the #1 Indians prospect, and the #13 prospect in baseball. This included an invite to the Futures game in Kansas City, where he played for the World Team. 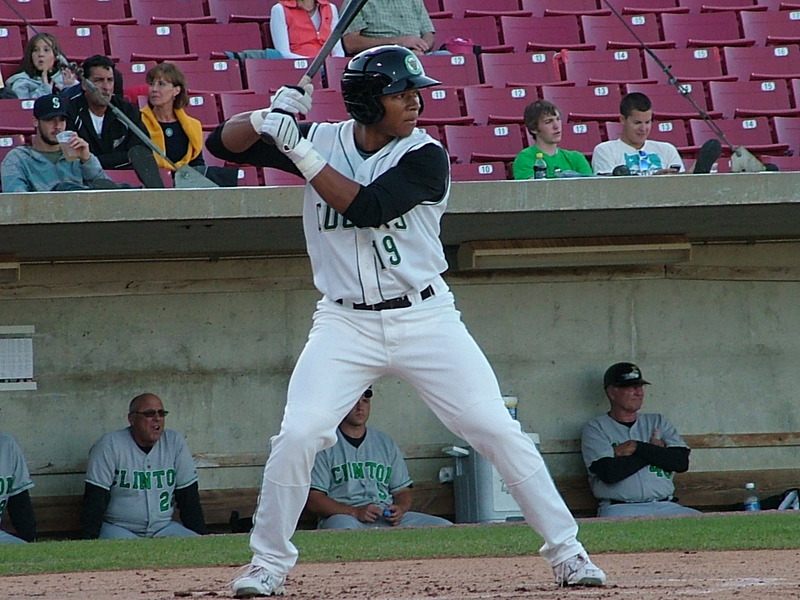 Lindor followed up his great 2012 with an even better 2013 where he went through two levels of ball, topping out in Double-A, and once again being invited to the Futures Game in New York. He once again ended the season as the top shortstop prospect, the top Indians prospect, but increased his overall prospect ranking to #5. At the beginning of this season, Lindor has already established himself as a top ten prospect yet again, however, he dropped his shortstop ranking to #4, perfectly reasonable given his competition was Xander Bogaerts, Correa, and Javier Baez, who has started to put himself in the HAPS conversation, especially after showing a dominant power swing in Spring Training. The reason why Baez isn’t in it right now is that while he’s advanced at the same rate as Lindor, he hasn’t had Lindor’s wow factor. Still, if Baez can be as consistently impressive as Lindor has been, he could put himself in the HAPS conversation. The man who started it all, Machado blazed through the minors, made his major league debut a mere two years after being drafted, and made his first All-star team in 2013. While Machado’s best season ended on a sour note after he broke his leg, he has definitely entered his name into the elite infielder category. I know that Machado technically is a third baseman now, but in truth I’m grading him as a shortstop because of his A-Rod like conversion to third. And to continue, Machado was a shortstop when he was drafted, and only played a few games at third base in the minors, in Double-A Bowie, which incidentally was his last minor league stop before he made his debut. Will Machado ever move back to shortstop? Maybe, maybe not, but regardless, Machado is still one of the best young players right now. The 2014 draft isn’t until June, but that doesn’t mean there’s no room for early speculation. In what is considered yet another meh prep middle infield class, there are only two definitive first round prep shortstop talents, one of which has equal value as a pitcher. The two shortstops in question are Clovis High School’s Jacob Gatewood, and Olympia High School’s Nick Gordon. Gatewood, like Crawford before him, has had eyes on him since last year. 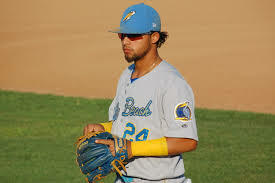 A well rounded guy with an emphasis on power who draws comparisons to Troy Tulowitzki and Starlin Castro, Gatewood, barring a bad senior season has the projectability to be a top ten pick, and could raise his stock to top five, maybe even top three if he continues to play at the level he has. In my initial mock, I had him going to Colorado as a potential replacement for Troy Tulowitzski, whom I feel will leave Colorado before 2020. In the thin air of Colorado, Gatewood would thrive despite the humidor baseballs, and he would have the potential to be a Machado-like talent. 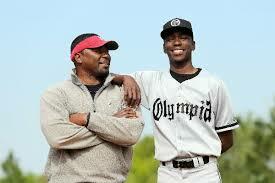 Gordon has a baseball pedigree thanks to his father and brother, Tom and Dee. He has project ability as both a pitcher and a shortstop, but scouts have said that Gordon will stick to shortstop. While not as dominant at Gatewood, Gordon is still a top 20 prospect who could actually outperform his brother. I had Gordon going to San Diego. In theory, if Everth Cabrera can’t get back to his pre-Biogenesis self, it’s a possibility that the Padres will try and look for a replacement in the coming years. Gordon would benefit from the expansive park in San Diego, as he thrives on being a slap hitter with speed, much like Cabrera was. Between Gatewood and Gordon, my belief is that the former makes the best case for the HAPS of 2014. He certainly has made a name for himself starting last year, and he has a legitimate shot to become one of the best shortstops in the post-Jeter and Rollins shortstop era. His power is not to be ignored, and if he signs early and tears it up in rookie or short ball, he could find himself in the top 100, maybe even top 25 very early in his career. 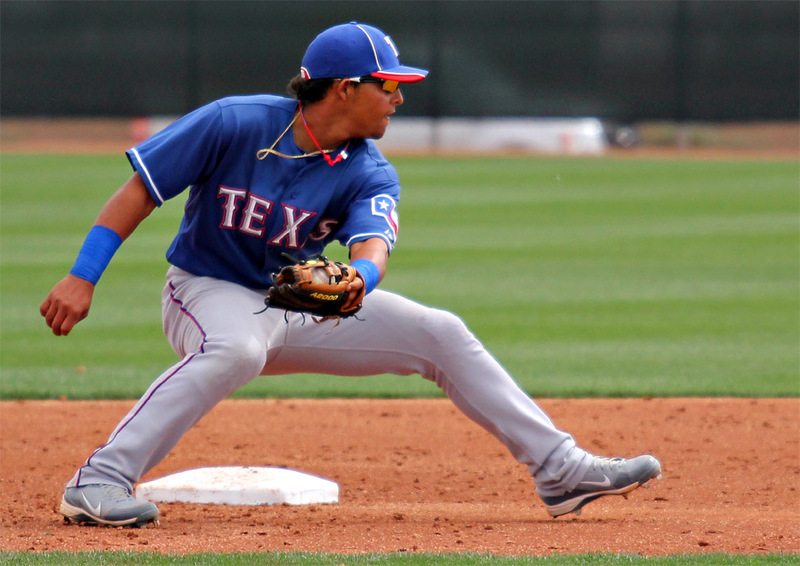 It’s time for Round 2 of the Top 100 Prospects: This time, the focus is on the AL West. Instead of individual profiles this time, I’ll concentrate the prospects into one paragraph on how each prospect fits into his team. The Astros are a terrible team now, but the future is bright for them. To begin, this team has been preparing for the future by drafting high ceiling talent. What started last year with Jarred Cosart will likely continue this year with the anticipated debut of Mark Appel. 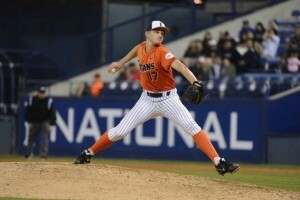 Appel, the first overall pick from Stanford University comes with a major league fastball and two solid secondary pitches. Given the track record for first overall picks from big time colleges, (Gerrit Cole and Stephen Strasburg come to mind), Appel should be in the majors by August or September. 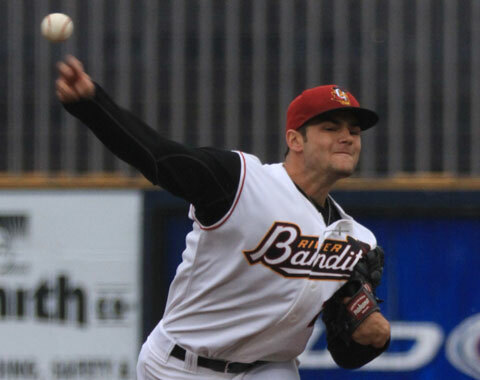 Until the draft comes around, the next big Astros pitching prospect is Lance McCullers. 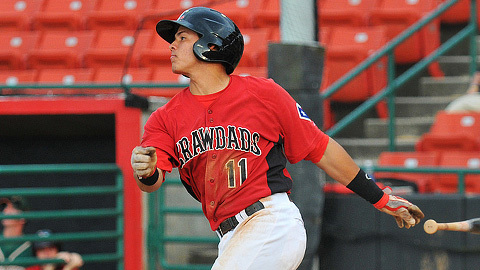 McCullers was viewed at one time to be the top pick in the 2012 draft, until the Astros decided to go with Carlos Correa (more on him later) However, McCullers, who is the son of the former Padres and Yankees pitcher, fell to the compensatory round, where Houston eagerly snatched him up. McCullers had a decent first full season in Quad Cities, with 117 strikeouts, but given his age and the time it usually takes for high school arms to develop, McCullers probably won’t see the Majors until 2016 at the earliest. Lastly, there’s Mike Foltynewicz. Folty, who was the second first rounder the Astros had in 2010, has one of the best fastballs in the minors, but beyond that, his offerings are average and his control is below average. Houston has used him in both the rotation and the bullpen, and given the speed of his fastball, he looks to be more like an Aroldis Chapman-ish closer. He will likely see plenty of time in AAA before making his big league debut, and if the Astros are smart, they’ll concentrate his use to small doses. In the position player department, the Astros are pretty set in terms of speed. Two former first round picks, George Springer and Delino DeShields are considered to be two of the fastest runners in the top 100. Springer is practically Majors ready, especially after ringing up AAA pitching with 37 home runs this past year, while DeShields is still stuck in A ball at Lancaster. Both however were futures game prospects last year and impressed plenty with their play, and will likely make up 2/3 of the Astros outfield in the future. 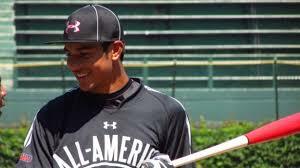 Carlos Correa may not be as fast as Springer or DeShields, but he can hit. 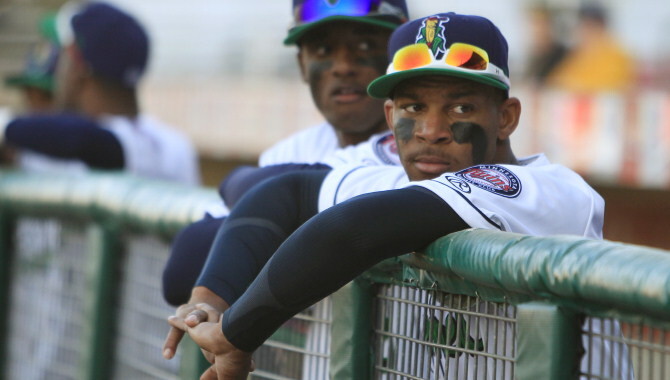 Viewed by many as a surprise first overall pick, especially with the likes of Byron Buxton and Appel on the board, Correa has really impressed so far in his minor league career, hitting at a .320 clip with 144 hits at Quad Cities. His defense is okay, given his strong arm yet weaker fielding capability, but time in the minors should give him some chance to develop. 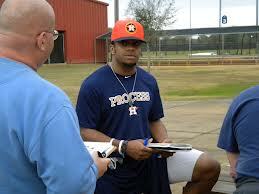 Finally, there’s Jonathan Singleton. Singleton, the other prize in the Pence trade (Cosart was the first) has had a very long minor league career. There is potential still, but drug problems have continually offset his major league career. Singleton will be under the microscope this year, especially given the failure of Brett Wallace as the Astros future at first base. If he can stay clean and hit the way that scouts have gushed over him for the past few years, the first base job will be his. All in all, the Astros have what many consider to be a top farm system, rivaled only by Boston and Chicago. It should be interesting to see if the homegrowns help contribute to the Astros’ ascendance back into the Major League elite. Oakland has only one prospect in the top 100 this year, and he may be the most talked about prospect that isn’t already under the microscope. 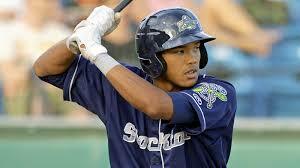 Addison Russell was the first high school draft pick taken in the first round by general manager Billy Beane since 2001, when they selected Jeremy Bonderman. Russell represents a departure from the Moneyball drafting strategy of taking low ceiling/high floor collegiate players in the first round. 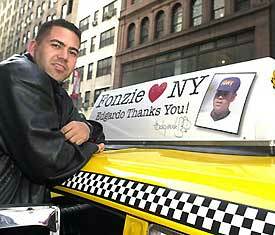 But how is he paying off on Beane’s gamble? After an aggressive development which had him starting at High A Stockton (A full level above where he should have been) he surprised many by hitting a respectable .275/17/60. He had 118 hits, but his strikeout numbers were high, just two less than his hit total. Russell impressed enough to be selected to Team USA’s Futures roster, then followed it up with a short call up to AAA Sacramento, completely bypassing Double-A. 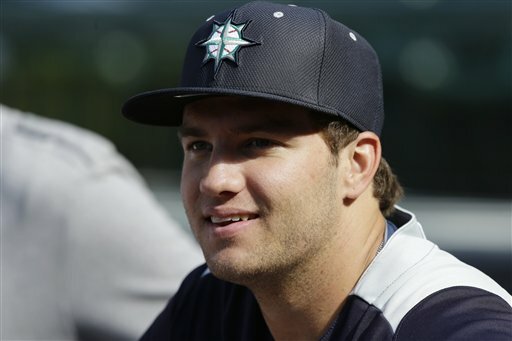 I expect Russell to begin play at Double-A this year with a quick rise to AAA by mid June. If he continues to play the way he has, there is a good chance that he’ll be making his Major League debut especially early. Russell has plenty of good tools. His hitting is possibly his best asset, but he’ll need to cut down on his K rate if he wants to make any real impact in the higher levels. Still, the first pick in the post-moneyball strategy era is definitely looking like a wise pick. Seattle has some great young pitchers coming up soon, but only one made this year’s preseason Top 100 list, Taijuan Walker. Walker, who has been the gem of Seattle’s minor league system for the past couple years, has had nothing but success in the minors. Last year, he jumped through Double and Triple A, made an appearance in the Futures Game, and made his Major League debut. Walker may be one of the best prospects in the Mariners system, but there is talk that he may be an expendable asset, especially since the team has looked at a possible deal to Tampa Bay for David Price. What the Mariners would be losing if they traded Walker, however is big. To begin, his fastball is a Major League offering, and his off speed pitches, while still developing into reliable weapons, are solid experiments. 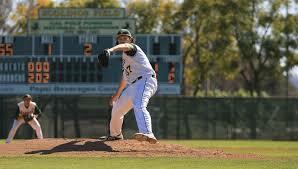 Second, his age indicates that he could be pitching in the majors for a long time. Third, his price and arbitration clock are set for a good five to six years away, so team control would be easy for Seattle to keep him. In short, Walker, the former shortstop turned potential ace, is someone to watch this year. DJ Peterson was one of the few picks I got right in my mock draft last year. A power hitting third baseman out of New Mexico, Peterson was a defensive liability at his original position and ended up being moved to first base. At Everett and Clinton, Peterson showed why he was a first round pick by hitting well for average with some pop. Peterson should advance quickly in the minors, and given Seattle’s failure to get a solid hitting first baseman (see Justin Smoak, Mike Morse and Mike Carp for reference), Peterson’s major league time will be spent under the microscope. It will be interesting to see how he handles the next level of play though. If you thought Houston’s system was stacked, wait until you see their rival’s. Texas’ system may not be as pitching talented as some of the other systems, but what they lack in arms, they make up for with bats and gloves. To start, let’s go behind the plate. Jorge Alfaro is one of the best international catchers in the game, even better than Braves catcher Christian Bethancourt. While Alfaro is young, he is quite advanced for his age. He has a cannon for an arm, and is a very gritty defender. Alfaro compensated for an injury plagued 2012 with a fine 2013, which cause him to go through three levels of play. Alfaro is a throwback to the primarily defensive catcher, which is fine, but if he really wants to make it to Arlington, he’d better start working on his bat. 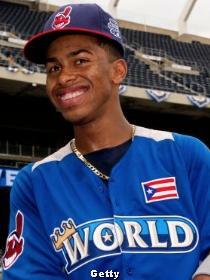 As if the Rangers’ infield wasn’t crowded enough with last year’s number 1 overall prospect in Jurickson Profar and perennial All-Star Elvis Andrus, two more young international middle infielders will likely be coming up soon. 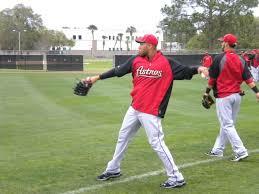 Luis Sardinas and Rougned Odor. Both have good arms, and are decent hitters, but Odor has more power and Sardinas more speed. Given the Rangers’ constant need for pitching, I doubt that either will see themselves in a Rangers uniform, likely one or both will be shipped in a deal to a team that’s looking for a middle infielder. However, they should make the trade quickly, as both finished their seasons in the Texas League and are likely to be in AAA before long. 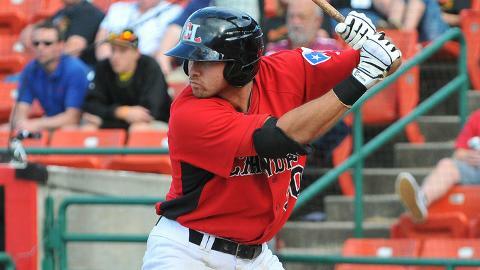 Joey Gallo has power, that’s a given, what he lacks is the hitting skill that goes with it. In essence, he reminds me of Ike Davis or Adam Dunn, only smaller. Still, Gallo would thrive in the dry heat of Dallas, as balls tend to carry farther in that park. 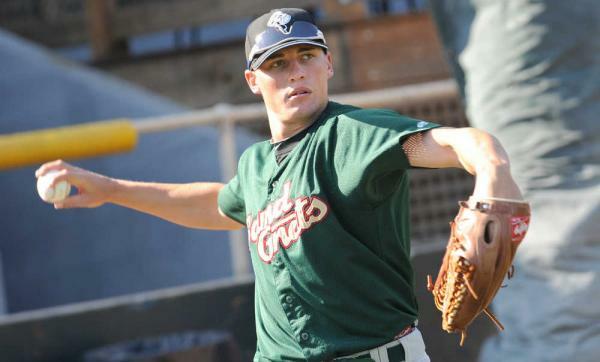 Gallo showed why he was a first round pick last year by smashing 38 home runs for the Hickory Crawdads, an impressive feat given the more humid air of the Carolina League, but as his low batting average and high strikeout rate continue to hamper his ability, so should his development be slowed down until he can go beyond one dimension. Lastly, there’s the lone majors-ready player on this list: Michael Choice. 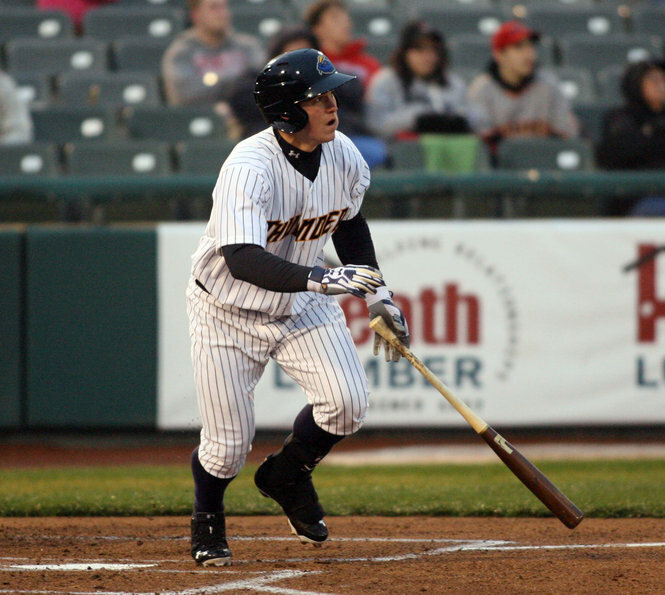 Choice played his college ball a mere 9 minutes away from Globe Life Park in Arlington, but was drafted by the Oakland A’s. After toiling for almost three seasons in the minors, Choice impressed enough to make a September call-up. From the stats, we can see that Choice thrives as a #2 or #6 hitter, and while he does have some power, don’t let it fool you. Choice will likely be given every chance to replace Gentry, the man he was traded for, in the Ranger lineup. It will be interesting to see how he makes his situation. So that’s the AL West. Stay tuned for next week’s installment of the top 100 prospects by division. This is the second part of my two part series on the Futures game, which is the minor league equivalent of the All-Star game. Having already covered Team USA, I now go to the World Team. I forgot to mention that both Team USA and the World Team are managed by Mets alums. Team USA is managed by Mookie Wilson, while Edgardo Alfonzo will take the reigns as manager of the World team. Now, let’s go onto the roster. Again, here’s the list, from CBS. A little disappointing to note that 2012 Futures gamer Jameson Taillon, who hails from Canada, will not be pitching for the team. Still, the pitching is… interesting to say the least. 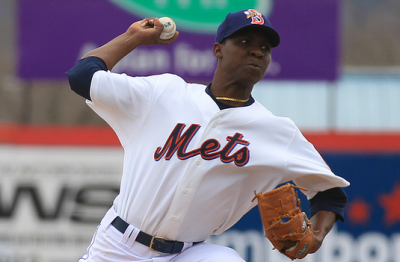 The three most notable names that stick out to me are Yordano Ventura of the Royals, who likely could be called up sometime in the future, Rafael De Paula, who is the Yankees’ best international pitcher, and Rafael Montero, who has come out of nowhere and made himself a topic of conversation, as he seems to be a favorite to make next year’s Mets rotation. Montero will likely start the game this year for the World Team. It’s interesting to also note that the World team has more pitchers in AAA (4) than Team USA (1). Onto the catchers and infielders. The World Team’s infield looks almost as good as it did last year, when Jurickson Profar was playing on the World team. 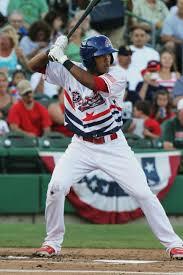 While Profar is no longer eligible, 2012 Futures gamer Francisco Lindor is. 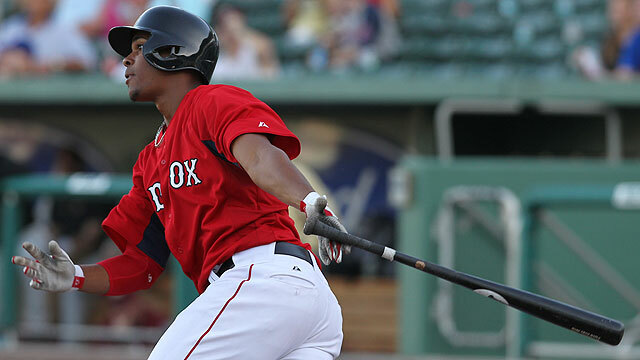 Also playing is Red Sox super prospect Xander Bogaerts, whom people got a good look at in the 2013 World Baseball Classic, and Miguel Sano, who, along with Byron Buxton, looks to provide the Minnesota Twins with a very promising future. On a name basis, the outfield at least looked promising, but injuries to the two best players, Jorge Soler of the Cubs, and Oscar Taveras of the Cardinals, likely indicate that there will be some shuffling done before All-star Sunday. The Final vote has five interesting candidates up for selection, although given the outfield situation, it might be cut down to three. 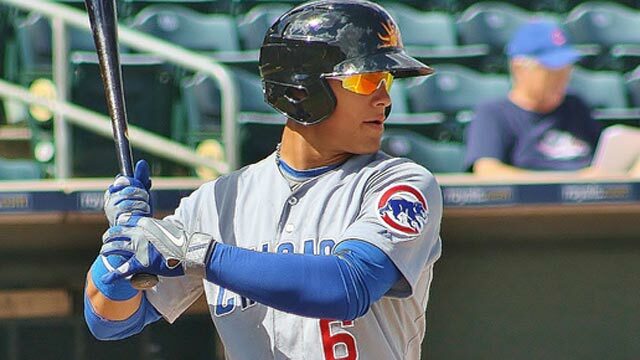 Baez, who hit four home runs in a game this year, is part of the Cubs future outfield which will likely consist of him, Jorge Soler, and Albert Almora. He’s a 2011 first round draft pick. 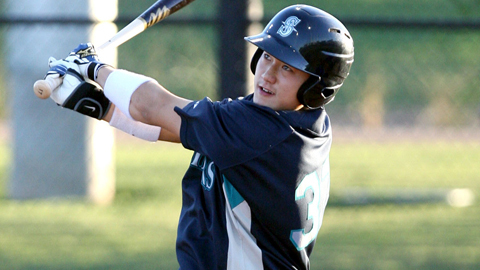 Choi garnered some attention last year when he won the Arizona League MVP. He’s a contact hitter with barely any power, but is defensively strong. 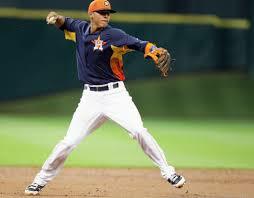 Correa was the first overall pick of the 2012 draft by the Astros. 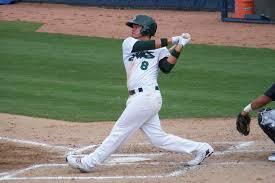 A slick fielder with some hitting ability, he’s made it as high as the Midwest League. 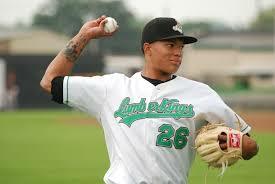 Nunez has jumped on the map this year by destroying Midwest league pitching; he’s hit 13 home runs already. He and Addison Russell may share the A’s left side of the infield by 2018. Odor is a defensive asset who flashes some hitting ability. Given the state of the Rangers infield for the forseeable future, Odor may find himself as trade bait sometime in the future. And now, another poll. Who do you want to see in the futures game? Sadly, I could not find any updates on the World team voting. Futures Game 2013: What you need to know about Team USA. All-Star Sunday is only 16 days away. What is considered the precursor to the big game consists of the All-Star Legends and Celebrity softball game and the Futures game. While we still do not know which celebrities will be playing, we were treated to the 2013 futures game rosters. Here is the full list, from CBS Sports. As you can see, the rosters are a little different from last time. Now, there’s no Jurickson Profar, Zack Wheeler, Dylan Bundy, basically, those who have reached the majors are all off the list. Still, there are some interesting names to look for. Today, we look at part of the roster for Team USA. Team USA’s staff consists of plenty of high school arms. 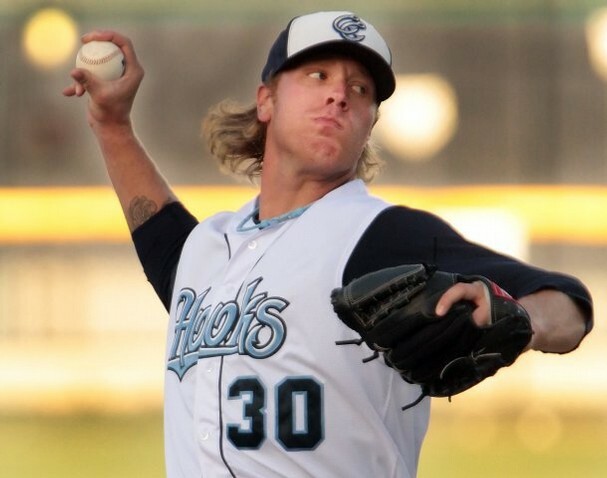 Among them are Phillies top prospect Jesse Biddle, Diamondbacks top prospect Archie Bradley, Giants top prospect Kyle Crick, Rays 2011 top draft pick Taylor Guerrieri, Mariners top prospect Taijuan Walker, and the most interesting USA pitcher, Noah Syndergaard, acquired by the Mets in the Dickey deal in the offseason. 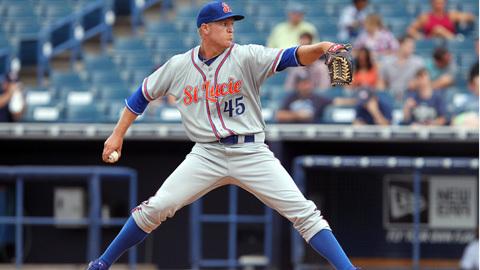 Syndergaard is interesting in the fact that he blazed through Port St. Lucie en route to a well-deserved promotion to Double-A Binghamton. Syndergaard is turning heads, and may be considered the real top prospect in the Dickey deal, as Travis d’Arnaud has been sidelined with a broken foot since April. It is widely believed, and in some ways, hoped, that Syndergaard will start, although in all likelihood, Walker may get the ball, as he is the only pitcher in Triple-A. In the catcher/infield department, the two big standouts are Padres backstop Austin Hedges and Addison Russell of the A’s. 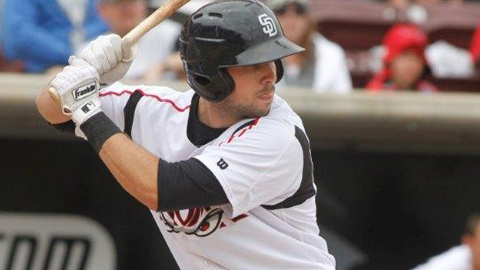 Hedges, who needed a lot of money in order to break his college commitment, tore through the Midwest league, and is now playing for the High-A Lake Elsinore Storm, where he has done similar work in the California League. Addison Russell was the first pick in Billy Beane’s Anti-moneyball philosophy era, and he’s proven to be one wise choice. Having dazzled in his pro debut last season. Russell is now playing for the Stockton Ports, where he faces Hedges. Russell will not see any major league action for a while, but when he does come up, expect the label #1 prospect in baseball to come with him. In the outfield, the two notable names to look out for are Twins prospect Byron Buxton and Reds prospect Billy Hamilton. Buxton was the number two pick in the 2012 draft and while he started out slowly, he’s really turned himself around this season, and has already made it to the Fort Myers Miracle in the Florida State League. On the other hand, Hamilton is a name that has been on the radar for quite some time. Last year, Hamilton broke the minor league record for most stolen bases in a season, and although he has yet to be promoted, given the future of the Reds outfield, expect him to suit up in either August or September. This year, Major League baseball has decided to add a little fun to the game, by having the people choose the final representative. a la the final vote in the MLB all-star game. There are five candidates to choose from. All you need to know about Austin is that he’s a converted catcher, and has been the most hyped Yankees prospect since Robinson Cano. Castellanos caught national attention when he was named MVP of last year’s game. 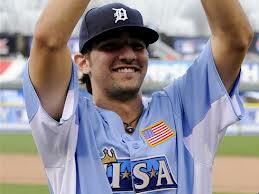 A return appearance would be welcome, although if Castellanos is promoted, he will no longer be eligible. 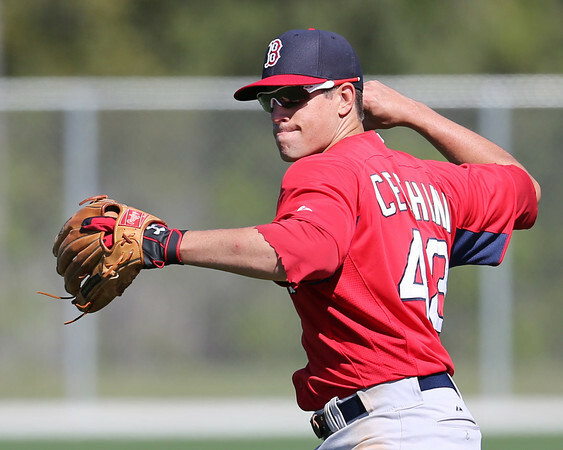 Cecchini is probably the most hyped Red Sox prospect not named Xander Bogaerts. He is currently leading the minors in batting average, and may be the clear favorite for the final spot. Hawkins currently stands as the White Sox best prospect, and his athleticism and tools certainly have put him on the map. 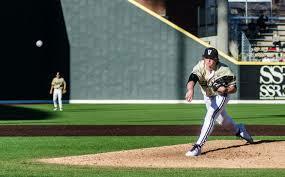 He has made a quick jump to the Carolina League, and would be a darkhorse for the final spot. Nimmo is the ultimate underdog here. Not only is he at the lowest level among the Final Vote prospects, but he was drafted out of Wyoming, a state that does not sponsor baseball. Nimmo is toolsy with speed, and he can hit. He can make the final roster based on hometown popularity, though. To conclude this post, there is a poll, which will ask who you want for the final spot for Team USA. Up next: the World Team profile.